Welcome back to day two of our annual Movie Files Awards season. Hopefully you enjoyed my picks for the alternative top five of 2011, and are excited to see what else the week holds in store. Today is the most depressing list to make: the biggest disappointments of my year in film watching. These are not the worst films I watched all year by any stretch, they were just victims of too much hype from either my own personal expectations or from other’s experiences. A lot of the films on this list find themselves here because they reeked of mediocrity when they could’ve been so much more. There are no exclusions for this list, so any film I viewed in the year 2011 is eligible. 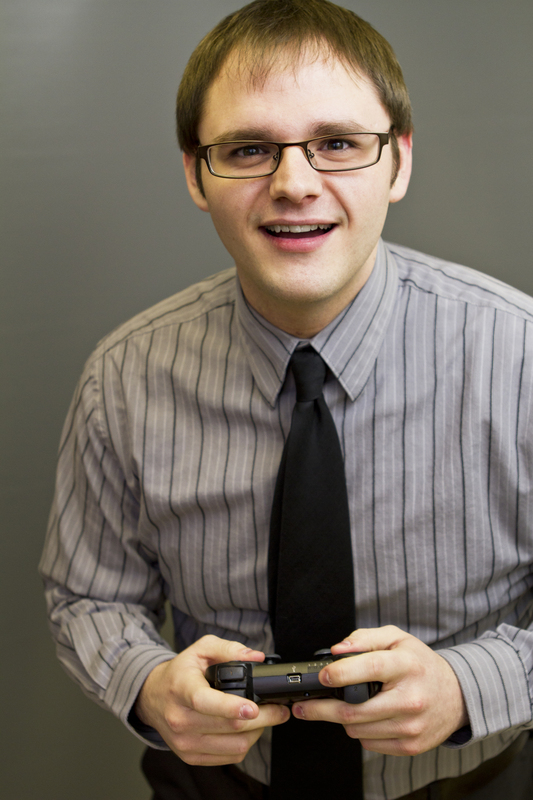 With that, let’s take a look at the top five biggest disappointments of 2011. This is a film that I have owned for years and never got around to watching until recently. 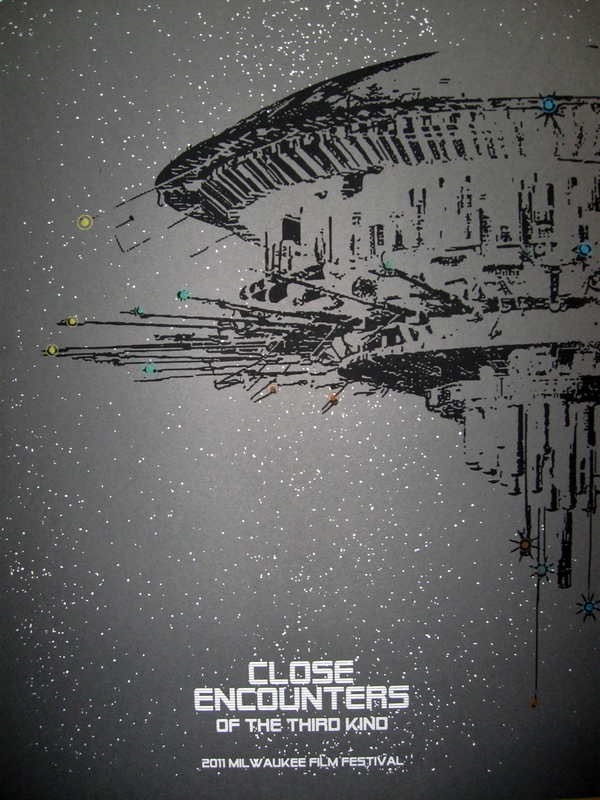 As some might know, I will be teaching a film class this coming semester at my university, and I thought that Close Encounters would be a perfect film to discuss science fiction; not only is it a legend in the field, but it is directed by arguably the most influential director of all time. When I was finished, not only did it get rubbed out of my class syllabus, I was left asking “why the hell is this considered a classic”? I understand that in the late 1970s the film must’ve been a spectacle to behold, but that doesn’t mean it’s very entertaining, and it isn’t. The story plods along, and a lot of the scenes with potentially interesting alien interactions are destroyed by the silly piano conversations that are conducted. For such a classic – and a film on the AFI top 100 movies list – I expected something more exciting, or at least profound. I never thought an alien film could be so uneventful. Here is a perfect example of a remake being better than its original. 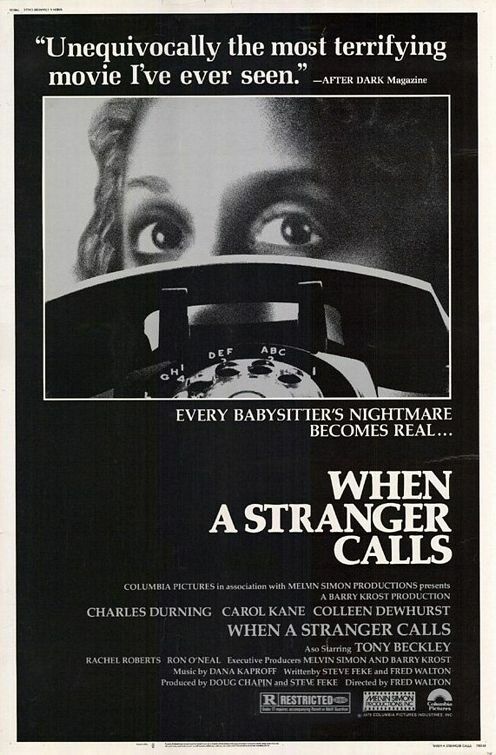 I watched the When a Stranger Calls remake from 2006 years ago, and that film is more of a survival/slasher film (slasher in the sense that we don’t know who the killer is, not in that there are a ton of deaths), where as this film is more of a drama/stalker film. That would’ve been acceptable if it wasn’t so slowly paced, and lacking any tension whatsoever. To be fair, the first 20 minutes of the film are solid, creepy, and exactly what I thought the entire 90 minutes would be like. When the opening scene ended, I had to double check that I actually played the movie from the beginning because I thought the whole film would revolve around this one incident. Instead, it focuses more on “what happens next”. Unfortunately, that next part isn’t very exciting. Not only does this film find its way on todays list because I expected a different type of film, but also because the film that I received was flat out boring. I can appreciate how this influenced future slasher flicks, but I’ll take Halloween, or Friday the 13th over this any day of the week. It’s almost embarrassing to admit that I had any expectations heading into this film, but for a series that has done nothing but improve over the years, starting out with one of the worst movies of 2008 (Twilight), to a solid effort that I genuinely enjoyed in 2010 (The Twilight Saga: Eclipse), I hoped the trend would continue. Enter director Bill Condon. Condon’s directorial decisions nearly killed the entire film for me. 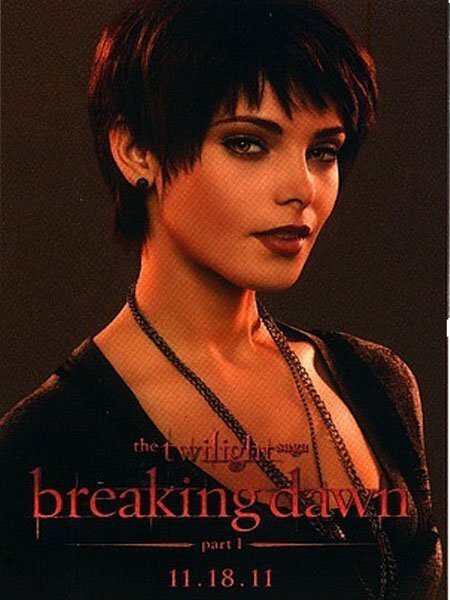 There’s nothing Condon could’ve done to make Bella a character I like (fact: I loathe Bella and everything she stands for), or to make Jacob less of a whiny teenager, but my goodness, Condon could’ve made the film move along at a quicker pace, and not had the werewolves talking in a ridiculous voice at the climax of the film. There were moments – such as the wedding scene, or the “uh oh” realization scene – that I wanted to jump into the projectionist booth to see if the film had paused. It was infuriating. What upset me most, though, had to be the fact that because of a bad directorial decision, the film was nearly killed in its climax. I was taken completely out of the film when I heard these cartoon-like sounds with some ridiculous reverb effects echoing through the theatre. There is an interesting story to be told in The Twilight Saga, but Condon makes choices that get in the way of the story instead of letting the script do the work. I know I shouldn’t be invested in a tween romance series so deeply, but it’s incredibly disappointing when a solid story is nearly ruined by poor direction. For some people, this movie never stood a chance. Myself, I wanted nothing more than to list this film as my #1 horror adventure of 2011. 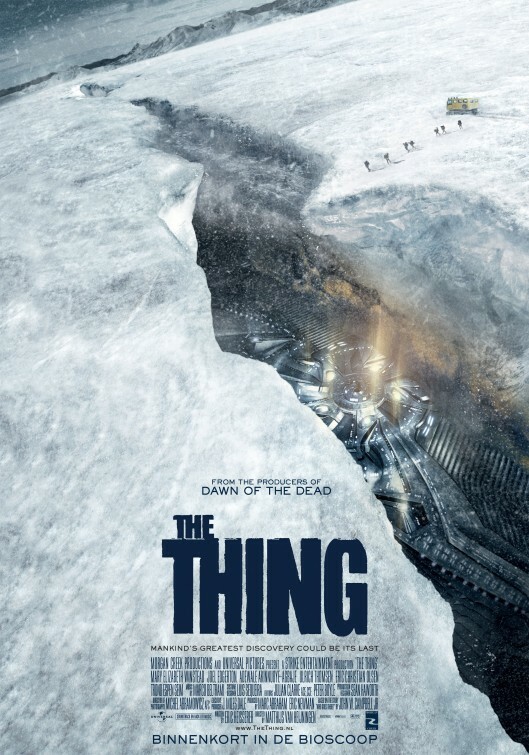 Much to my dismay, The Thing prequel finds itself as my second biggest disappointment instead. For someone who hasn’t seen Carpenter’s version – first, smack yourself, then go watch it – there might be something to enjoy about this prequel: there are some decent gore effects, even if they are marred by an overuse of CGI, Mary Elizabeth Winstead is not only very pretty, but a solid actress who does a decent job in her role, and the story is fantastic, which has nothing to do with Heijningen, but is a nod to John W. Campbell’s original novella entitled Who Goes There? that the films are based on (read the whole novella online here or here). What The Thing prequel is missing, though, is the soul that drives the Carpenter version. Carpenter’s film is one of my favorite sci-fi horror films of all time (not to mention the film that took the place of Close Enounters of the Third Kind on my Film 102 syllabus for next semester), and the idea of a prequel to that masterpiece had me giddy. Instead of a unique take on the story, we basically get the exact same movie with different characters who I couldn’t care less about, and a handful of scenes that had me wondering if Heijningen started filming a remake, then changed his mind halfway through. Now, looking back, I know that isn’t the case. In fact, the studio initially wanted a remake, but Heijningen and his producers begged the studio to allow them to make a prequel instead because Heijningen felt that Carpenter’s “was so perfect”. That’s what blows my mind: Heijningen obviously has a great respect for Carpenter’s film, but that respect means nothing in the finished product, and instead we get a typical action/horror movie with no heart. What made Carpenter’s The Thing so incredible was that the audience was in the character’s shoes in that we also had no idea who “The Thing” was at any one point. In the prequel, it is blatantly obvious who has been taken over by the creature, thus killing the tension that makes Carpenter’s version so special. I know me, though, and I am certain I will give this film another viewing. I don’t see my opinion changing much, but you never know. Anyone who wants to hear my thoughts on Carpenter’s version of The Thing should listen to The Drive-In Episode 3 right here. I’m sure this is a great way to lose readers, but I’d be more akin to read someone who I disagree with but is honest, than someone who puts up a front to make readers (or, more dastardly, studios) happy. Dr. Strangelove is the most disappointing film I’ve seen in the two years I’ve been writing this blog. This is another movie that I thought would be perfect for my film class next semester because its both a classic, and it would allow me to discuss an incredibly influential and important director. First off, it took me about three times to make my way through the film because I kept nodding off within the first 20 minutes. Second, most of the jokes just didn’t do anything for me. Sure I laughed a couple times – most notably at the “gentlemen, you can’t fight in here! This is the war room” line – but the jokes wore thin fast. I appreciate President Merkin Muffley (yes, I get the joke) talking on the phone to the Soviet Premier, but I can only laugh at the same type of joke so many times before it starts to lose its luster. The biggest disappointment to me was the use of Peter Sellers. When he was on screen, it was quite enjoyable, but he is only in the movie for about 10 minutes total. Call me crazy, but when I see a character planted on the cover of the Blu-ray disc, I expect him to be on screen for a good portion of the film. To be fair, I can’t place all the blame of my disappointment on Kubrick’s film. My lack of knowledge about the Cold War probably plays a huge factor in how mediocre I found Dr. Strangelove. This is a great example of the more you know, the funnier the movie might be. I’m aware of this, but that doesn’t change the fact that I only chuckled a few times to one of the “greatest” satires ever made. Needless to say I switched out Dr. Strangelove, and in its place I added what I feel is one the greatest black comedies of all time: Fargo. It’s simply a fact of life that us movie lovers will be disappointed from time to time. As much as I try to keep my expectations in check as a film critic, I still get emotionally involved in movies simply because I want them to be great. I understand the work that goes into making them, and I want them to be successful. That will not always be the case, though, and that’s what brings about disappointment. The one shining light all five of these films have in common, however, is that they are being talked about on day two instead of day four (which houses my 5 worst films of the year). Were there any films that left you feeling empty this year? 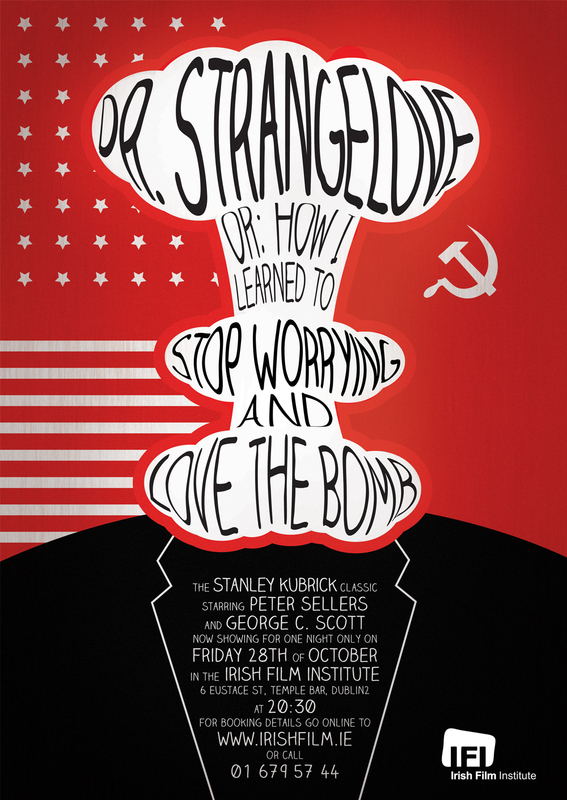 Think I’m an idiot for not liking Dr. Strangelove more than I did (remember, 2 stars is a mediocre rating, not poor)? Let me know about all of that and anything else that comes to mind in the comments below!